$109 per person, plus tax. Includes snacks, juice, bottled water & soda. 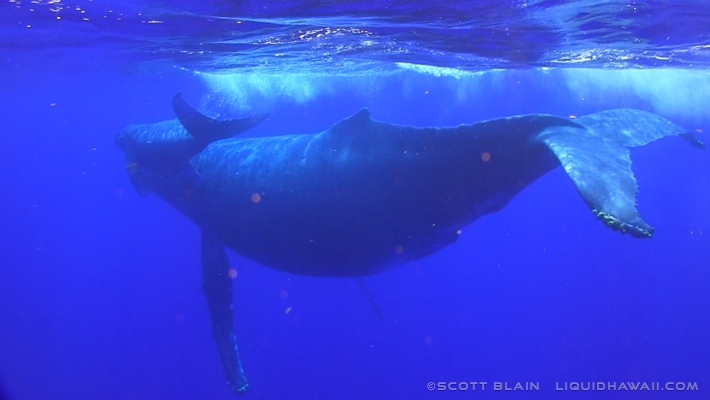 The Humpback Whales migrate from Alaska to Hawaii during the winter months to give birth and mate. We will cruise along the coast looking for these amazing creatures that are known to slap the water with their fins and tails as well as breach. Their backs can also be seen arching out of the water as they dive down giving you that iconic tail photo opportunity. 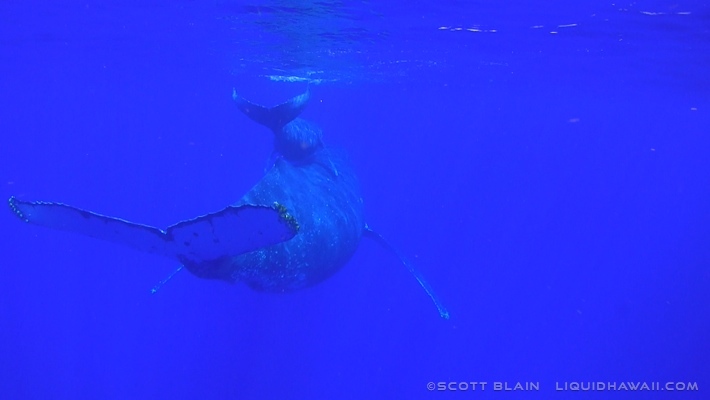 We will use our state of the art underwater hydrophone to listen to the songs of these giant natural songwriters. As we travel the coast we will be looking for other large ocean creatures, such as Pilot Whales, Bottlenose Dolphins, Spotted Dolphins and Manta Rays. ‘Liquid Hi’ is a Custom Willard SeaForce 730 Military Zodiac boat that has served our country, formerly used by the U.S. Navy Special Forces and is now serving our guests in Hawaii. It has a large bimini top that offers plenty of shade, dry storage, comfortable seating and a smooth ride. 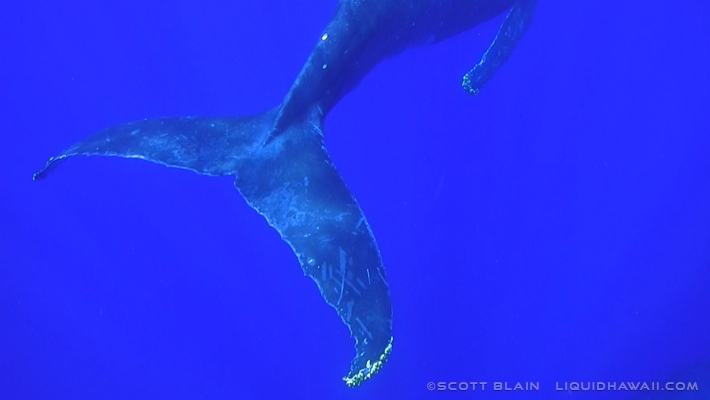 Liquid Hawaii takes 6 guests so you get a more intimate whale encounter that you only get from our small whale charters. 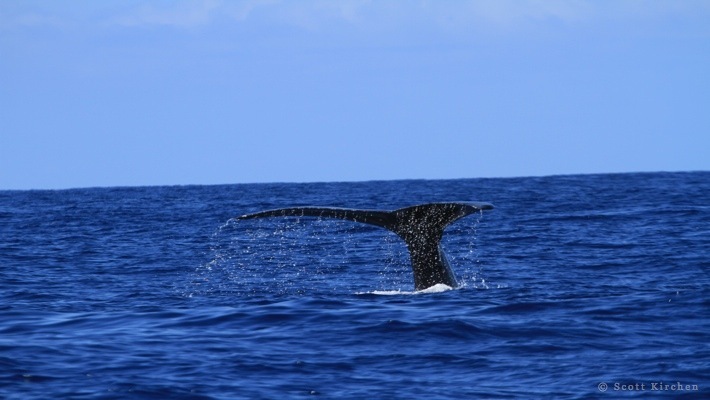 Our whale watching charter will be one of your highlights from visiting Hawaii. Bring a hat, sunglasses, light jacket, and non-aerosol sunscreen. We recommend that you take medication or natural remedies to prevent seasickness to optimize your enjoyment of the trip. We do not offer medication on the boat. To ensure best results of avoiding seasickness, take medication the day before the trip and 2 hours prior to trip departure so it is in your system. Contact Email-Liquid Hawaii ©2016 Liquid Hawaii LLC. All Rights Reserved.